In Northern Homs, an area where approximately 350,000 people have been under siege for more than one year, Médecins Sans Frontières / Doctors Without Borders (MSF) supports all of the medical facilities in the area; a total of 8 field hospitals and 3 medical points. Barrel bombs and clashes on several frontlines are the daily reality, and there is a severe shortage of water, electricity and basic food supplies. MSF is the only international organisation supporting the Syrian medical networks in North Homs, providing approximately 50 percent of what the facilities need in medicine and consumables. Today, because of the combination of high needs and the lack of regular support available to these facilities, MSF is aiming to scale up its assistance to try to meet 80 percent of some of these hospitals’ needs in the coming months. Doctor A. is the director of a key field hospital in Al Houleh in North Homs, an area with around 90,000 people living under siege. “We called it a massacre in May 2012 when one hundred people, most of them children and women, were killed in a single afternoon. That was a terrible day, but it is only getting worse in Al Houleh. On the news they call it ‘intermittent shelling’, but it doesn’t stop - we just differentiate between the sound of heavy and light artillery. We have set up this field hospital from scratch. We provide emergency care and also a range of services including primary healthcare and surgery. We have only a few beds, and they are always fully occupied. In January we counted fifty barrel bombs in Syria in one week. The field hospitals in the area struggle to deal with the high numbers of wounded, doing what they can with limited supplies and few medical staff. We had many surgeries, too many amputations. Today we only have one general surgeon and one orthopedic surgeon in all of Al Houleh, for more than 90,000 people. With the limited resources that we have, our top priority is to try to secure the medicine and material we need for surgery and emergency care. Often we struggle to get basics like gauze as well as more difficult items like anesthetics. At the same time we have many patients with chronic diseases, children with respiratory infections and pregnant mothers who need follow up. Nobody has any money to see a doctor or buy medicine, people are really poor now. I will never forget this 60 year old man whose heart had stopped. We used the most basic material to resuscitate him, to help him breathe. Our equipment is very old. He was in a coma for 2.5 days and the medical team took shifts, overnight, trying to keep him breathing through a simple manually operated device that involves squeezing a bag to expel air into his lungs. I couldn’t believe it when he opened his eyes and asked for his wife. I couldn’t believe that he woke up and his brain was still functional. This patient is still alive in Al Houleh, and I try to remember stories like this one. Maybe after this war is over, some doctors will leave medicine. We’ve seen so much, it’s hard to accept, hard to process (Find out more in our article Syria: Four years surviving on a fragile humanitarian lifeline). Al Houleh is surrounded. The checkpoints don’t let anything in, sometimes not even a loaf of bread. 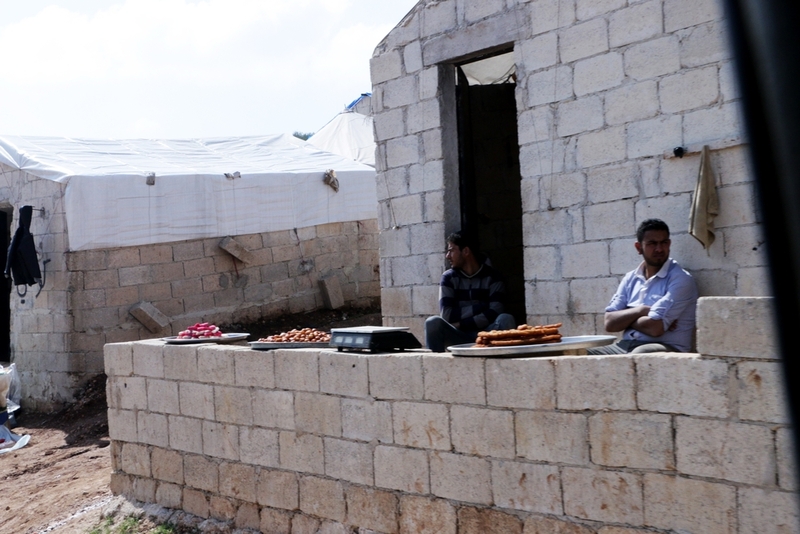 Already reaching North Homs with supplies is very difficult, but the situation in Al Houleh is impossible. Geographically it is a valley, but we are surrounded by mountains and checkpoints - in reality it is more like an island with 90,000 people under an even more intense siege within the general siege on Northern Homs. It’s been three years since this area has been reachable by cars on regular roads. 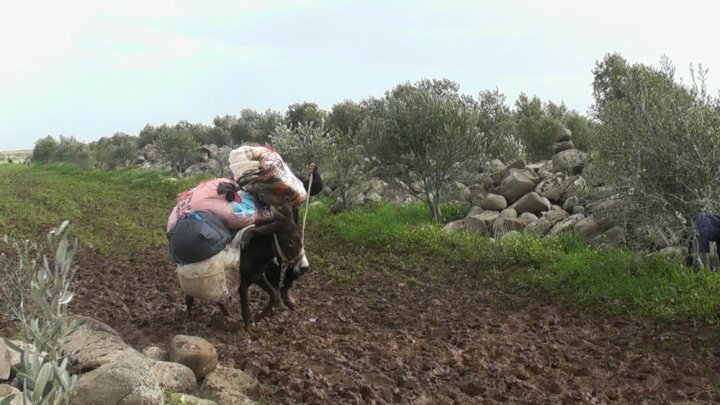 Whether it is for food, medicine or fuel, we can only go through a muddy and difficult path accessible only by foot, donkey or with small boats across Lake Houleh. We only have one path for supplies, but we call it the death path because there are snipers; whatever reaches us is covered in the blood of the people who have risked their lives to get it here. With MSF support we can at least count on some medicine; it covers more than half of our needs, but we still face stock ruptures. It is impossible for us to store medicine and we are permanently in daily consumption mode. When we can only get hold of one box at a time, how much medicine can we stock for 90,000 people? People are drinking contaminated water and coming to the hospital with infections. Once upon a time Al Houleh was known for its crops and agricultural produce. Now it’s too dangerous to go out into the fields and harvest the land. The basic food supplies that are available in the market are too expensive for the majority. People come to the hospital sick from bad water and poor nutrition. We have days with 2 hours of electricity, and weeks without any at all. Our hospital is run by generators. It has the only two neonatal beds that are available in the entire area, and sometimes we are forced to put two babies in one bed. Medically this is unacceptable, but we don’t have any other options. The hospital I’m working in has been bombed three times. The last time was seven months ago. The war planes were flying low, and the airstrikes meant for the hospital hit the building next door and two people died. That is why our medical departments are spread out across different buildings, in order to avoid losing everything in a few minutes. We see patients all morning and all night. The days are very long, and the idea of having time for anything other than work is a distant dream, but when I can I spend time with friends and family.